Conflict, Improvisation, Governance presents a carefully crafted and edited collection of first hand accounts of diverse public sector and non-profit urban practitioners facing the practical challenges of "doing democracy" in the global/local context of the interconnected major European city of Amsterdam and its region. The book examines street level democratic processes through the experiences of planning and city governance practitioners in community development, youth work, public service delivery, urban public administration, immigration and multi-cultural social policy. 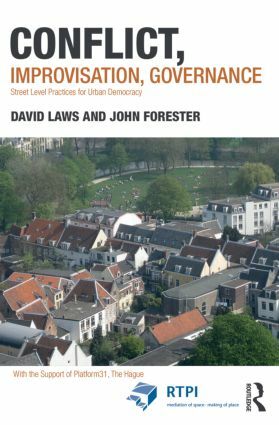 These profiles and case studies show widely shared challenges in global and local urban environments, and new, "bottom-up," democratic and improvisational strategies that community members and public officials alike can use to make more inclusive, democratic cities.